A couple of weeks ago I argued that smart clothing needs to make us better, not just offer us shortcuts. 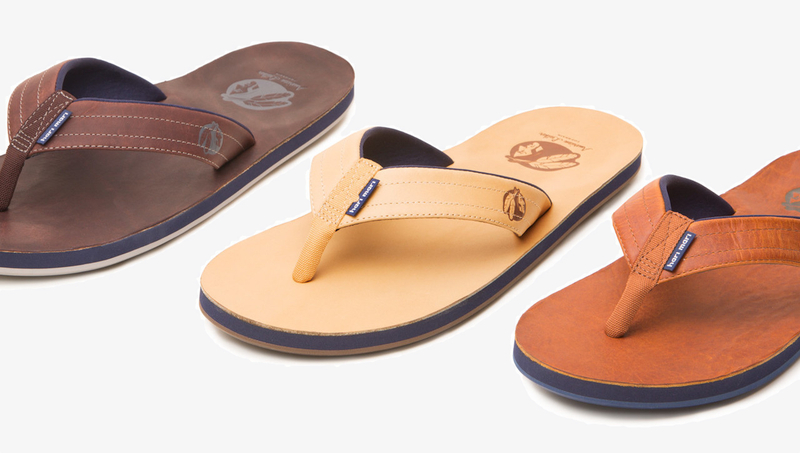 And now sandal maker Hari Mari has gone and offered the ultimate counter argument: smart flip-flops. And not the good kind. As reported by Fast Company, Hari Mari has teamed up with Hall of Fame NFL player Emmitt Smith's The Prova Group and famous baseball glove maker Nokona to make the Hari Mari x Nokona, a pair of smart flip-flops that do little but spam you with promotional deals. The flip-flops are embedded with NFC tech that connects to an app. When you buy the Hari Mari x Nokona you're strongly encouraged, via markers on the packaging, to download the companion app, which will connect to your new flip-flops and get you special offers in the future. When you get the app, you'll have to sign up and provide some data. Your name, email address, home address and demographic information. In exchange, Hari Mari and Nokoma will give you free shipping for life, nebulous "exclusives" and first right to buy new products. That's it. No fitness tracking. No sun tracking. No wetness tracking. Just an app with some newsletter-like perks. So what's the point? Well, Hari Mari sells most of its products through high-end retailers and doesn't get to see who buys its flip-flops. Rather than opt for a newsletter campaign destined for the spam box, it has decided on this. Hari Mari is quick to call this is a beta, and that the company is experimenting to see whether it'll work. It's unclear how many people will download an app that's a glorified newsletter after purchasing a pair of $110 flip-flops (yes, $110). It's equally unclear whether people will actually realize there's a companion app in the first place, since you can't find any mention of it in that promo vid up there or the product page. Or, if they'll even care.